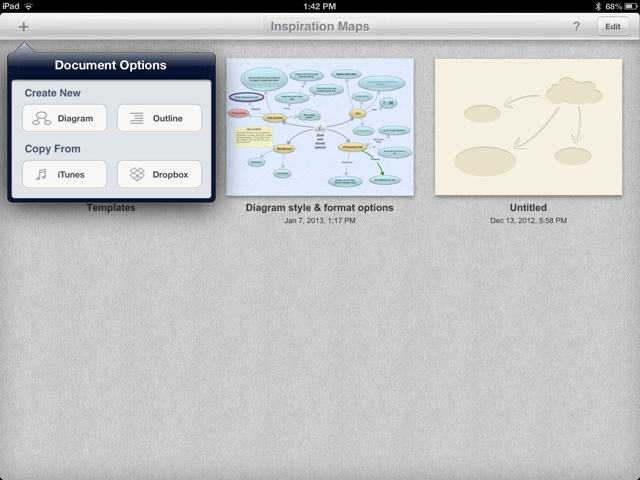 Inspiration is a graphic organizer that allows users to brainstorm through the creation of outlines and mind maps. When you first launch Inspiration, you will come to a 'home' screen (as shown in image). You will be given an option to create new from Diagram or Outline. You will also have the option to copy from iTunes or Dropbox. Once you are working in a document you will notice a toolbar located along the top of the app. 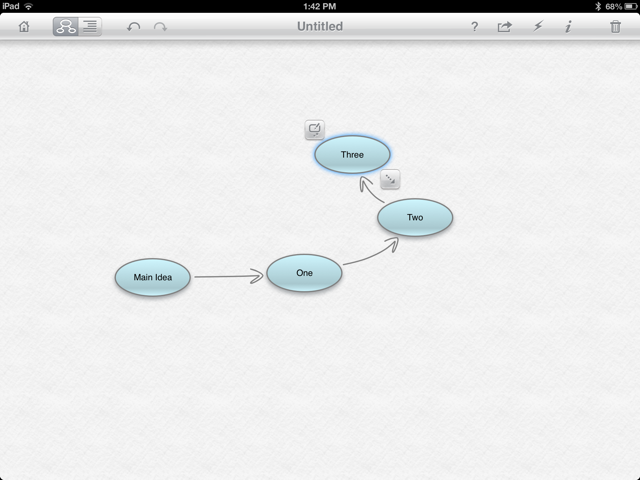 On this toolbar there are options and functions to create your mind map. In the top left-hand corner you will see a house. This house will take you to the Inspiration home screen. Next to the house are the options to switch between diagram view (as shown in this image) or outline. The 'i' allows users to edit and modify text style, icon shape and colour.